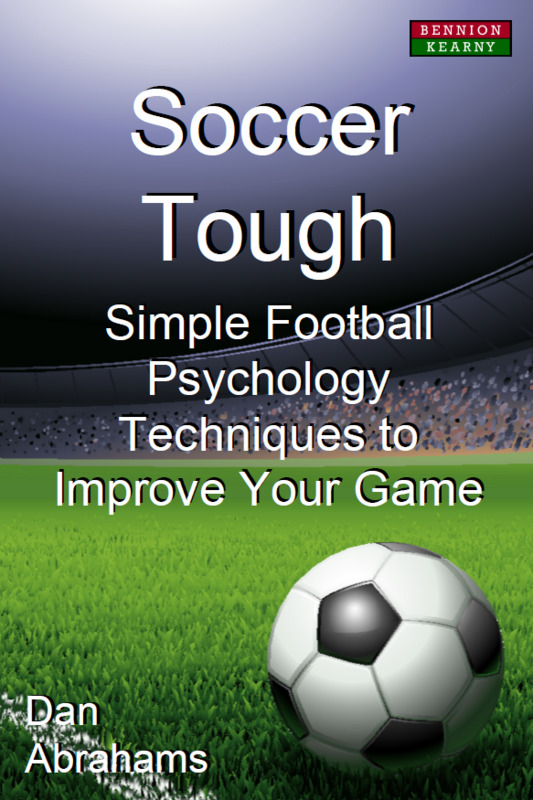 Technique, speed and tactical execution are crucial components of winning soccer, but it is mental toughness (soccer psychology) that marks out the very best players – the ability to play when pressure is highest, the opposition is strongest, and fear is greatest. Top players and coaches understand the importance of sport psychology in soccer but how do you actually train your mind to become the best player you can be? Soccer Psychology Consultant Dan Abrahams shares the powerful techniques that have helped him develop reserve team players to become international players, guided youth team players from slumps to first team contracts, and helped young professionals win contracts at their dream clubs. This was achieved quite simply – by focusing on the power of the mind, and how it can elevate performance on match day to peak levels. Soccer Tough is for amateur and professional players of all levels, as well as coaches. This soccer psychology book explores how the best soccer players in the world think and gives the reader step-by-step ways to do the same. Dan Abrahams is a freelance sport psychologist who specialises in soccer psychology. He has spent the past decade working with some of the leading soccer players, teams, organisations and governing bodies globally. He has held contracts with leading clubs in the English Premier League and some of the top managers and coaches regularly use his techniques to drive their coaching culture and team building processes.